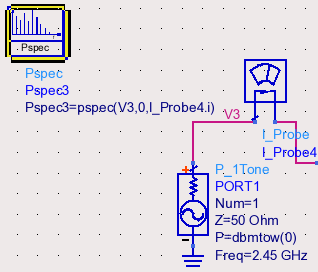 Hi, I am trying to use the power spectrum to look at this P_1Tone and want to make sure I have set it up correctly. 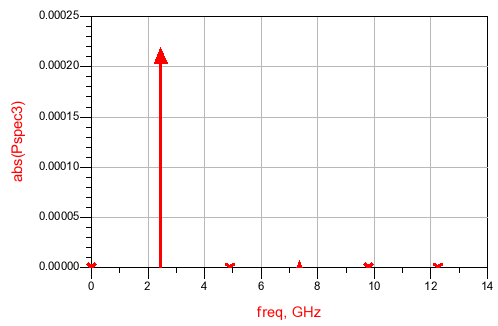 The input is 2.45 GHz 0 dBm (or 0.001 W), but when I simulate, I get a value of 0.0002 at 2.45GHz. Now, is this measurement in dBm, W, or something else? If it's in W, why is it so far from 0.001? The Available power of your source is 0 dBm ( delivered when the source is loaded by Zc) . In your case it depend of the actual load you have connected . 0.2mW means your load is very different from ZC.